In today’s fast-paced world where the success or failure of a business depends on how quickly it can provide quality products and services, entrepreneurs are even more determined to invest in resources that can help meet their customers’ demands. HP realizes this and has introduced two hardworking printers that are becoming the trusted partners of productivity-driven business owners. Entrepreneurs who demand maximum work output will appreciate the value of the HP Ink Tank 315 All-In-One (AIO) printer and HP Ink Tank Wireless 415 AIO printer as they can easily print up to 8,000 pages using a tri-color bottle set or 6,000 pages with an HP black ink bottle. Those who look for cost-effective ways to drive savings for their business will find the HP printers ideal as they can produce huge volumes of quality printouts at an extremely low cost per page. This is made possible through the printers’ high-capacity ink tank system and relatively affordable HP ink bottles that make for spill-free refills. So, what are you waiting for? Grow your business by realizing utmost productivity, increased customer satisfaction and savings with the HP Ink Tank 315 and HP Ink Tank Wireless 415. 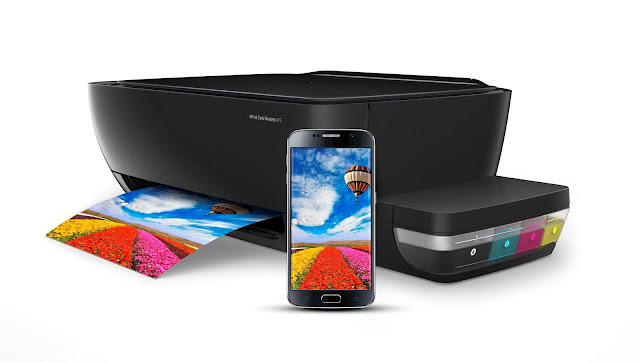 Get these AIO printers at any authorized HP resellers nationwide.